Take on your world from behind the wheel of an elegant and high-performance luxury vehicle. It’s time to elevate your everyday driving experiences and turn them into something exceptional. Life was meant to be lived and enjoyed, why not live it from the driver’s seat of a Jaguar F-TYPE? This exceptional sports car has all you need to truly experience life at its fullest. You deserve the best, you deserve a Jaguar F-TYPE, and you shouldn’t have to get used to anything less. Why? Because anything else would be mediocre. Find your Jaguar F-TYPE at Jaguar Toronto–your premier source for both new and used Jaguar F-TYPE sports cars in Toronto. When you choose Jaguar Toronto, you’re choosing exclusive access to some of the greatest sports cars and luxury vehicles on the market today. You’re also receiving world class service from our seasoned automotive professionals and luxury car enthusiasts who can answer any Jaguar related questions you may have. You’ll find our commitment to you and your automotive needs in every department–from our sales floor to our well-stocked Parts Department. Enjoy a quick refreshment in one of our five on-site cafes before spending some time enjoying our fantastic selection of vehicles. Let us assist you and provide you with a sophisticated buying experience you won’t soon forget. Visit us today at 777 Dundas Street E in Toronto, ON, or feel free to call us at 416-530-1880 and get ready to live grand. We’re proud to provide a Jaguar dealership experience for both new & pre- owned Jaguar F- TYPE vehicles that exceeds all expectations. Visit us in Toronto today! 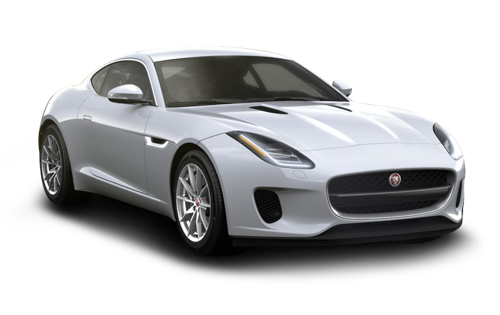 The Jaguar F-TYPE is a true Jaguar sports car with a powerful and distinctive look and feel. This vehicle prides itself on high performance with excellent handling that can take you around any turn in full control. Turn heads wherever you go with this sleek and stylish sports car. The Jaguar F-TYPE follows in the tracks of past Jaguar vehicles, just like we used to make, delivering to you a one-of-a-kind driving experience. Make one yours today at Jaguar Toronto. Coupe and convertible body styles are available for your Jaguar F-TYPE. Both have their own unique characteristics while still offering the same high performance. Each one keeps you in mind and supports a unique driving experience. Looking to save some money and still get behind the wheel of this amazing vehicle? Take a walk through our certified pre-owned inventory and see what we have to offer. With certified pre-owned you’ll get a great vehicle at an even better price. The source of all the power from the Jaguar F-TYPE comes from its top-of-the-line supercharged engine. Its advanced braking systems are present to give you a safe and secure ride no matter where you choose to go. A range of these different systems are available for your vehicle to perfectly suit your driving style. These braking systems deliver confidence over sustained high performance while all-wheel drive allows for smooth handling and control around tight turns. This is the kind of driving you’ll enjoy getting used to. The sleek outer design of the car is unmistakably Jaguar in its design while also delivering aerodynamic efficiency. Its slick contours and tight lines provide for an unmatched sports car design and guarantee a second glance. The F-TYPE is pure sports car, combining both power and grace into an exceptional high performance vehicle. The interior of the Jaguar F-TYPE combines ergonomics in a sporty style with 1+1 configuration to wrap around you and take your driving experience to greater heights.